Looking for the perfect gift? 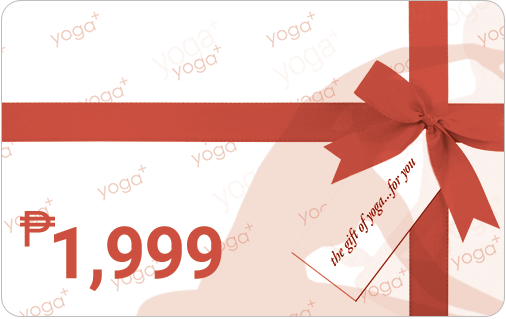 With YogaPlus gift cards, your friends and family can choose the yoga packages that they want from any YogaPlus branch. They are easy to give, a delight to receive, and empower those you love to care about their health and wellness. You can purchase the First-Timer One-Month Unlimited Package as a gift and introduce your loved one to the world of yoga. The recipient must not have availed of this package previously. Verification will be done at the YogaPlus studio upon enrollment. This gift card can be used for a Standard 1 Month Unlimited Package or as a credit to purchase other packages. This gift card can be used for 10 Class Cards shareable by up to 5 students or as a credit to purchase other packages. The most flexible option that allows your loved ones to choose the package that suits their lifestyle. They can add cash at the YogaPlus studio to purchase long-term yoga packages of their choice. 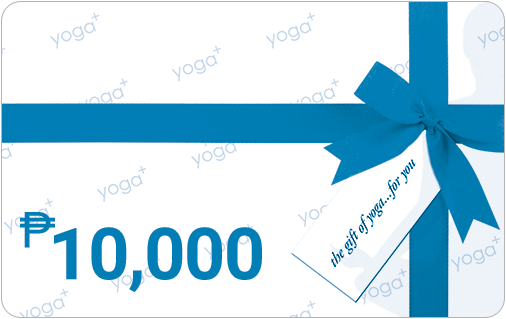 Gift cards are redeemable at any YogaPlus studio. They are transferrable but non-refundable and cannot be redeemed for cash. Use of gift cards constitutes acceptance of these terms and conditions.